Video Game Night at Midterm Munchies! Looking to blow off some steam, eat FREE snacks, and hang out with friends? 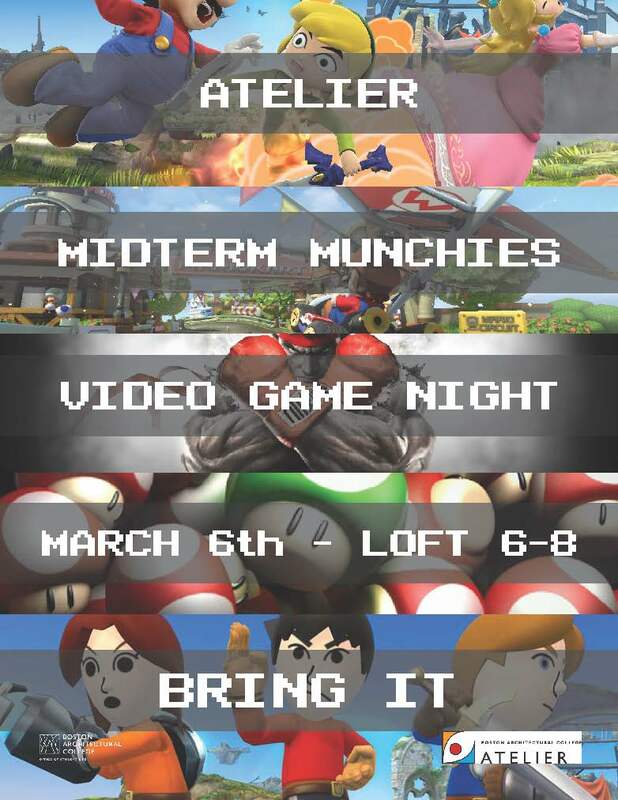 Come to Video Game Night in the Loft, sponsored by Atelier, your student government! We'll be playing Super Smash Brothers, Mario Cart, Street Fighter V and more.